TRADER Corp. has announced an exclusive partnership with Toronto-based Coherent Path that is bringing “big data” to the Canadian auto industry. Years of data on autoTRADER.ca indicates that consumers don’t tend to begin their journey with a clear path to purchase, and that many factors can influence them along the way. By applying Coherent Path’s patented data mining and predictive analytics platform to autoTRADER.ca customer data, TRADER Corp. will be able to identify where customers are in their car buying journey, enabling manufacturers and dealers to reach these shoppers at the right place and time and with the right message on autoTRADER.ca as well as elsewhere online. The idea is that online advertising no longer needs to focus simply on placing an ad in front of a shopper who is looking at a particular vehicle. TRADER will now be able to understand each customer's journey and give manufacturers and dealers the ability to tailor messages to shoppers based on where they are in the buying process. This advanced process will map “big data” such as transactional web impressions and vehicle searches on the marketplace, to understand consumer purchase behavior and apply more data-driven advertising solutions for dealers and manufacturers. Initial deployments of the technology have delivered more than 40 percent better ad performance than traditional targeting techniques. For example, a shopper who started by considering a particular make/model on autoTRADER.ca may now be leaning toward buying from another manufacturer. By using predictive data and analytics, the advertiser can then strategically place an ad in front of the shopper to stimulate and influence the customer’s buying decision. 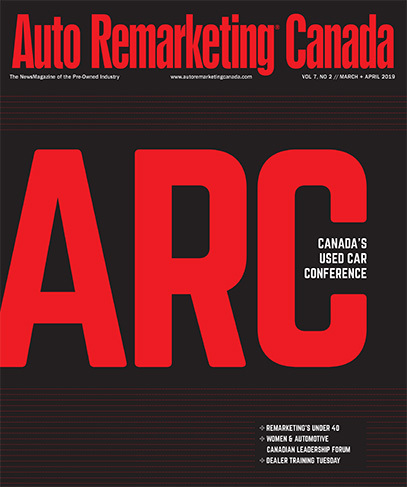 “Most Canadian car-buying journeys involve autoTRADER.ca at some point, and that creates a lot of data,” said Roger Dunbar, vice president of marketing at TRADER. “By leveraging this marketplace data high-ground, we will be able to project and stimulate the car buying journey for individual consumers. “Our customers will have the ability to strategically place messages within the various stages of the consumer’s journey, increasing ad effectiveness and driving incremental revenue as a result,” he continued.